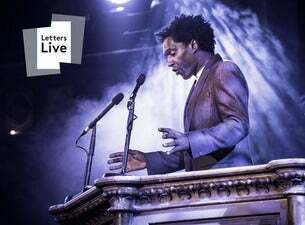 On 7 – 9 March 2019, Letters Live will be returning to the iconic Union Chapel, after selling out there shows last March. Benedict Cumberbatch, Gillian Anderson, Taron Egerton, Brie Larson, Toby Jones, Maureen Lipman, Jude Law, Olivia Colman, Oscar Isaacs, Tom Odell, Carey Mulligan, Ian McKellen, Colin Firth, Kylie Minogue, Russell Brand, Caitlin Moran, Peter Capaldi, Jarvis Cocker, Ian McShane, Riz Ahmed, Jack Whitehall, Jack Dee, Bob Geldof, Shappi Khorsandi, Danny Boyle, Tom Hiddleston, Chris Evans, Matt Berry, Sanjeev Bhaskar, Benjamin Clementine, Maxine Peake, Kelvin Jones, Nick Cave, Sir Ben Kingsley, Tom Hollander, Miriam Margolyes, Mark Strong, Louise Brealey, Andrew Scott, Rob Brydon, Juliet Stevenson, Stephen Fry and many more. Doors will open at 18:30pm with the performance starting at 19:30pm. Each half will last an hour with an interval of 30 minutes. No two shows are ever the same. Expect the unexpected, safe in the knowledge that Letters Live will make you appreciate the humble letter like never before.